Orce (Archie) Naumovski used to be a 2 pack-a-day smoker and 40-50 LBS overweight. Determined to get his life on track, he joined a running club. 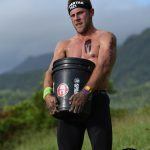 But, it wasn’t until he found OCR that his motivation to get healthy kicked in. With consistent and dedicated training, 2018 has seen several podiums for Archie in Spartan’s age group category. 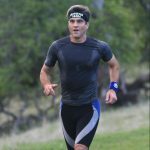 In 2017, Archie won 2nd place in the U.S. OCR Championships; In 2016, he won 3rd place (age group) in the Spartan West Coast Champions; and in 2014 he won 1st place (age group) in the San Francisco Urbanathalon. Archie has also won first place (age group) for the last consecutive five years at the San Jose Gladiator Rock n’ Run. Archie attributes his winnings to hard work and training at King’s Camps and Fitness, which has greatly improved his grip strength and his cardiovascular health. (Not to mention, it’s a fun place to train!) Watch out, racers–Archie’s coming for you!